Based on the skills of our adroit professionals and creative workers, we bring forth an extensive range of Phosphor Bronze Rods. Offered pipes find application in diverse areas such as petrol, chemical, fertilizer, refineries, heavy engineering industries, shipping, power plants, boiler, and atomic research institute. Owing to features like durability and easy installation, the offered range is extensively demanded in the market. A team of our vendor’s adept professionals, with hard-earned experience manufacture the offered pipes using high grade raw material. The offered pipes are available with us in various sizes, designs and other related specifications at market leading rates. 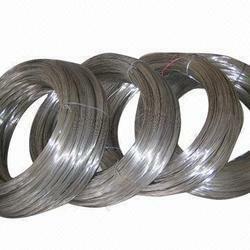 Under the strict supervision of our experienced professionals, we are offering an innovative collection of Phosphor Bronze Coil. 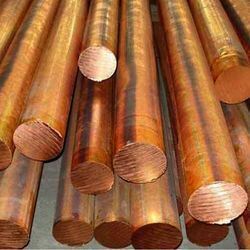 Our offered pipes are availed in a variety of sizes, dimensions and other such specifications to choose from. The offered pipes are precisely designed at our vendors highly advanced manufacturing unit following industry defined guidelines. The offered pipes can also be availed from us at the industry leading prices. By utilizing skills of our dexterous workforce, we are offering a comprehensive assortment of High Carbon Spring Steel that are widely preferred for diverse engineering applications. Our vendors manufacture these pipes by employing optimum quality raw material and sophisticated technology in adherence to the set industrial standards. Owing to features like high performance and easy installation, our offered pipes has been able to earn a lot of popularity in the market.